This was yet another GUI I made and dug up from my old backup drive from years back. I believe I was trying to make a simple GUI with advanced widgets (although none are shown) and just make something different from all my other GUIs. 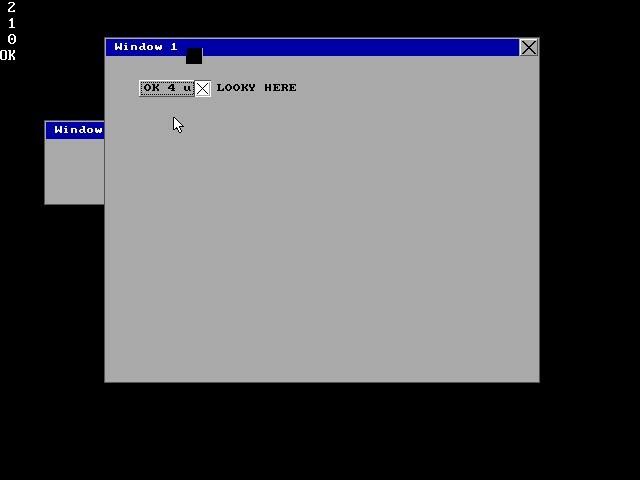 It was in the spirit of CDOS and the old-school ZGUI but I think I gave up because it was intended to be a library. The windowing engine is way off (sometimes windows will become lost in the z-order array. Widgets are simple and nothing really advanced. The widgets are created after the window is created and can only be added to the most-recently-created window which is supposed to "simplify" the process. I don't know what I was thinking back then. Hope someone can get some use out of it or some laughs.